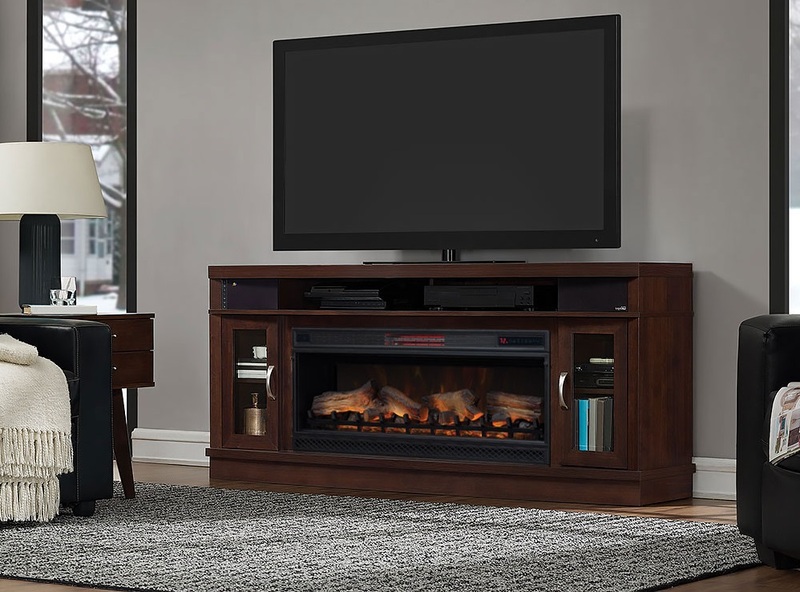 The Deerfield TV stand for TVs up to 80" and up to 155 lbs. is an attractive piece for any home. The Antique Brown Cherry finish is accented by the Brushed Nickel hardware. The partitioned media shelf and two glass-front side cabinets perfectly store AV components and entertainment accessories. Experience high quality sound from the integrated sound system with (2) 4” main speakers, (2) 1” tweeters and forward facing passive bass ports. Wirelessly stream audio from any Bluetooth® enabled device anywhere in the room. Complete your TV stand with a 42" ClassicFlame® electric fireplace. I am interested in this unit. What is the construction of the mantel? Solid wood? MDF/Fiberboard? Plywood? Does it come in any other color/finish? 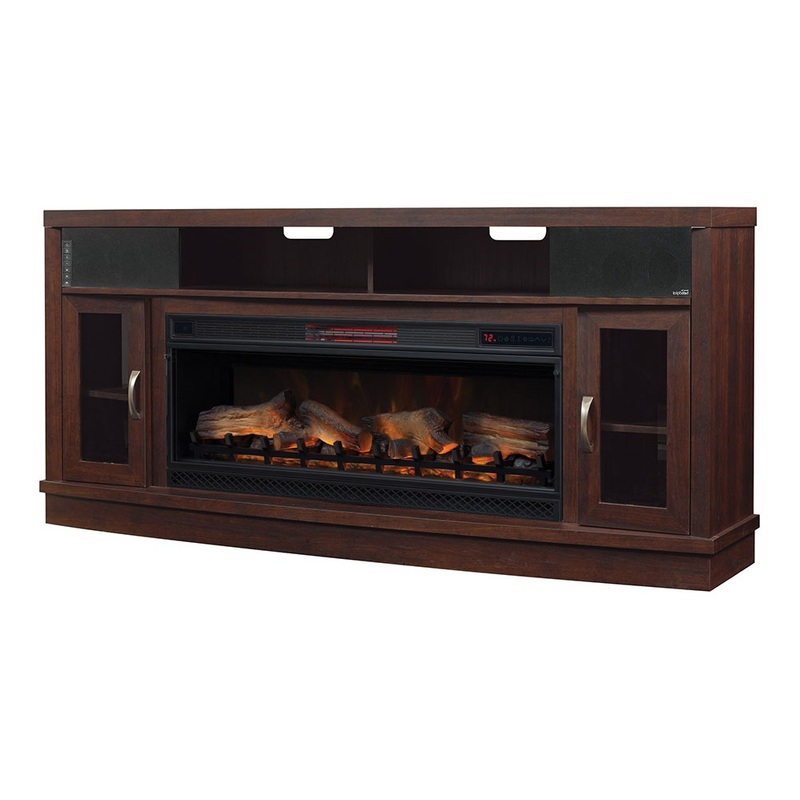 This fireplace mantel is constructed of solid compressed hardwood with veneer. It is not available in any other finish aside from the Brown Cherry Finish. What material is the frame made of. Solid wood or mdf? This fireplace mantel is constructed of solid compressed harwood with veneer. Where or how do you install the glass crystals and rocks in the fireplace? The front glass of this fireplace insert will slide off for you to easily swap out the logs for the glass crystals/rocks in the fireplace.